Dartmoor National Park, famed abode of the Hound of the Baskervilles! Just a few miles inwards from the South Devon Coast is the ancient Dartmoor National Park. It covers an area of 368 square miles and offers visitors a mix of superb scenery and legendary history. Dartmoor also has one of the most prominent moors to be found anywhere in Britain. Many visitors view Dartmoor as a wonderful and diverse place – indeed it offers a multiple range of terrains from it’s tors and woodlands to rambling countryside, grass covered hills and river valleys. The tors formations are actually quite splendid – the granite while being a very tough substance is vulnerable to chemical deterioration. This means that the acids in rain attacks the surface of the granite causing it to disintegrate into various shapes and colours. Those who enjoy outdoor activities will have plenty to do in Dartmoor – just a sample of these include Dartmoor walks, fishing, trekking and cycling. Dartmoor is made up of various small villages and towns – one of the very enjoyable experiences of visiting Dartmoor is the chance to drive from one to the other while taking in the great scenery en route. From Tavistock in the west to Ashburton in the east, there’s plenty to do and see in Dartmoor. Check out the main Dartmoor Tourist Board located in Okehampton. This town also houses the Museum of Dartmoor Life. Okehampton Castle is worth a visit – this is located in Cranmere Pool and these ruins are the remains of what was once the biggest castle in Devon. Walking & trekking opportunities are abundant all over Dartmoor – specific places of interest to walkers include South Okehampton, Princetown, Chagford and Postbridge. There are also specific routes popular with more experienced trekkers – for instance, Templar Way (18 miles) and West Devon Way (14 miles). Books on walking in Devon are also available in the information centres dotted around the park (Okehampton, Tavistock, Ashburton, Ivybridge and a couple of other locations). There are also plenty of routes for those keen on cycling, and it’s possible to hire bikes in Tavistock. The Dartmoor Way is a 90 mile cycle route that includes many of the parks towns including Okehampton, Tavistock and Buckfastleigh. 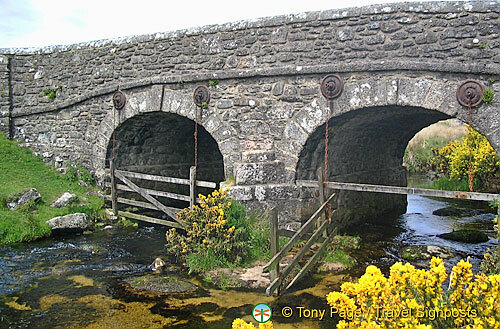 Other outdoor activities available in Dartmoor include horse and pony rides, fishing and climbing. 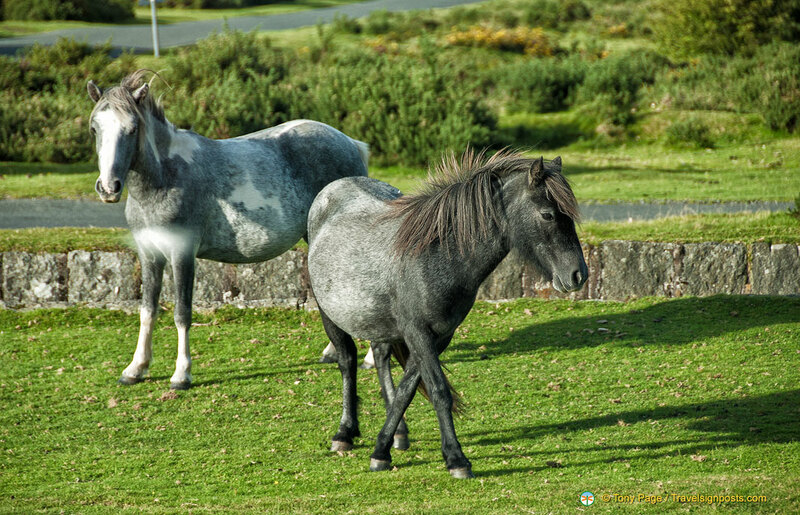 Expect to see many ponies grazing along the stretches of grassland while you drive through Dartmoor National Park. In the East lies the pleasant town of North Bovey – this is a great place to see quaint thatched cottages dating back to the 17th century. Yet another place to marvel at picture-perfect thatched cottages is in the charming little town of Buckland In The Moor. This lovely town faces onto woodlands and is also by the River Webburn (which joins up with the famous river Dart). Buckfastleigh is home to Buckfast Abbey – one of the most visited icons in Devon. The Abbey dates back to 1018. Also in Buckfastleigh are the Dartmoor otter sanctuary and the Buckfast Butterflies Exhibition (where several exotic butterflies can be seen in an exotic environment). Postbridge is a small town in the centre of Dartmoor National Park – aside from being popular with walkers, the town is famous for its “Clapper Bridge” (granite bridge dating as far back as the 13th Century) which goes over the East Dart River. Another quiet town with sublime cottages and green surroundings is Widdecombe In The Moor. Aside from it’s beauty, this location is famous for The Church House – dating back to 1537. The little town of Chagford is nestled just above the River Teign and is also worth a visit just to amble around the neat town square. Be sure to visit Market House while you’re there. In Lydford Gorge in the 15th century a “half human” tribe of creatures are said to have existed and caused much terror and fear to the locals. While this may sound like a myth or old wives tale to make children behave, the Gubbinses did in fact exist. They stole cattle, kidnapped or robbed travellers and there are reports that suggest that they were cannibals.